A crash that appeared to involve three cars – including one that rolled over – led police to close northbound lanes of traffic on Main Street early Tuesday evening. 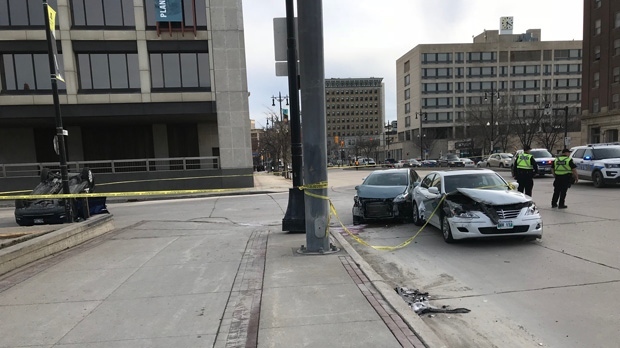 On Twitter, the City of Winnipeg’s Traffic Management Centre said northbound traffic between James and Rupert Avenues was being redirected to the southbound median lane, advising drivers to be cautious in the area. At the scene, two damaged cars could be seen in the northbound curb lane, while a third car sat overturned metres away on Rupert Avenue. Roads were reopened as of Wednesday morning.